I really didn't need more beads, but I saw Tiger Bead Store was having a de-stash sale and figured I would browse the selection. I have never purchased from this Etsy shop before - and I'm not even sure how I heard about them, but I am friends with Tiger Bead Store on Facebook. I'm very happy with my purchase. 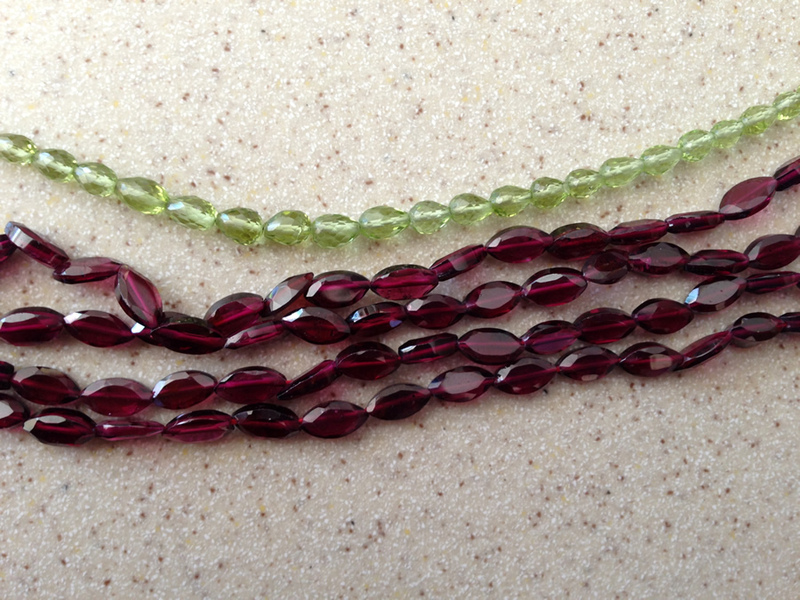 The prices were good, the quality is very good and the service was excellent - my beads arrived very quickly! They were well packaged too. Plus, I always like it when I learn a clever new trick from a seller. In this case, it was the mailing envelope that I received my package in. It's not unusual for a seller to recycle packing or mailing materials on Etsy - and honestly, I'm not sure if this was an attempt at re-use - but the mailing envelope I received my gems in (pictured at left) was a large padded envelope that was cut down to the size of a standard #10 envelope. Then it was securely taped closed. Now, why is this so clever? I'm not 100% sure - but I think it is cheaper to mail a standard size envelope than other padded mailer sizes - but that's something that I'll need to look into. But, if this were a 13.5" envelope to begin with - it could be cut into 3 of these mailing envelopes - and if it was recycling an envelope, all the better! Whether it was intentional or not - it made me aware of other items I could recycle or save without any compromise on quality or appearance. It also made me think I should learn more about the cost of various postal shipping options.